Donald K. Warne, MD, MPH is the chair of the Department of Public Health at North Dakota State University, and he serves as the Senior Policy Advisor to the Great Plains Tribal Chairmen’s Health Board. In addition, he is an adjunct clinical professor at the Arizona State University Sandra Day O’Connor College of Law where he taught American Indian Health Policy. Dr. Warne is a member of the Oglala Lakota tribe from Pine Ridge, South Dakota and comes from a long line of traditional healers and medicine men. He received his MD from Stanford University in 1995 and his Master of Public Health from Harvard University as a Commonwealth Fund/Harvard University Fellow in Minority Health Policy in 2002. 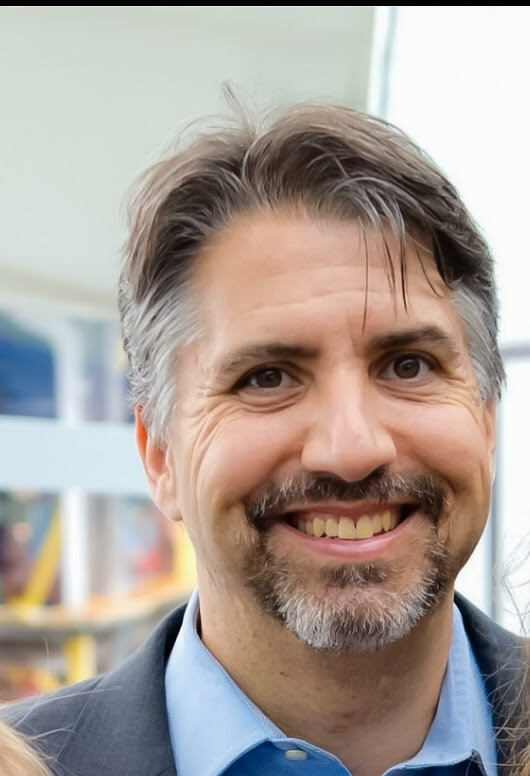 Dr. Warne is a Certified Diabetes Educator (CDE), and he is a Diplomate of both the American Board of Family Practice and the American Board of Medical Acupuncture. In addition to Minority Health Policy, he completed a Fellowship in Alternative Medicine from the Arizona Center for Health and Medicine. 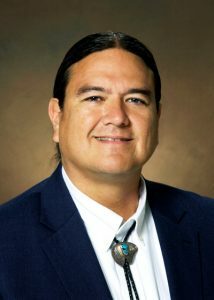 Donald Warne’s work experience includes several years as a primary care and integrative medicine physician with the Gila River Health Care Corporation in Sacaton, AZ, and three years as a Staff Clinician with the National Institutes of Health in Phoenix where he conducted diabetes research and developed diabetes education and prevention programs in partnership with tribes. Financial exploitation is becoming an increasingly familiar problem. Older individuals may be targeted merely because they possess more assets. Those with cognitive impairments, mental health conditions, or physical disabilities may be dependent upon others for assistance in making financial decisions or carrying out daily transactions, and therefore may be even more vulnerable to theft, exploitation or undue influence. Learn investigative techniques specific to financial exploitation cases, common warning signs, charging, trial and sentencing considerations. Join the prosecutor of State v. Robert Lee Thompson as she reviews the case from investigation to evidence, the plea agreement, and to the final sentence. 1. This panel presentation will focus on the current Tribal Nation initiatives to provide protection and appropriate services for their elders. 2. Tribal staff will share what is needed in order to build successful Tribal/County partnerships to ensure coordination and care for Tribal elders. Tetyana Shippee, PhD, is an Associate Professor in Health Policy Management, University of Minnesota and a social gerontologist whose vision is to improve quality of life and quality of care for older adults. As part of her research, she spent two years living in a long-term care facility. This presentation will explore tools and strategies that could be of use to older adults who are aging without a traditional support system (“Solos”). The conversation will address safeguards against abuse and exploitation inherent in our current supportive and substitute decision making structures, as well as discuss demographic and service trends that make this a particularly urgent issue. The Minnesota Elder Justice Center provides direct victim services to victims of abuse, and to their friends, family, and support networks. During this session, MEJC’s Victim Services Coordinator will walk the audience through a victim-centered approach to understanding abuse of elders and vulnerable adults, including cultural and reporting barriers to assistance. The conversation will address responses to abuse, focusing on systems navigation and advocacy strategies for creating an environment of change. Generally, our society views domestic violence as a crime occurring to younger adults in intimate partner relationships; however, domestic violence is also perpetrated on and by older adults. This presentation will look at ways to identify cases of domestic violence in later life, explain how these cases differ from abuse between younger adults, provide information on the polyvictimization that occurs within these relationships, identify unique barriers older adults face when reporting and discuss techniques for assisting older adult victims. This panel will explore the dynamics of this past legislative session with perspectives from a range of stakeholders. Join us for a panel discussion with participants who play an active role in policy development on behalf of their own agencies and organizations as they examine past accomplishments and future policy goals. Understand the components of the Minnesota Board on Aging (MBA) and the Minnesota Department of Human Services (DHS) strategic plan, MN2030 Looking Forward. Learn how you can be a part of addressing ageism and preparing for 2030. How Does Adult Protection Protect? This session will look at elder abuse cases identified in Minnesota hospital discharge data, including temporal trends and patient characteristics. In 2015, Princeton economists Angus Deaton and Anne Case described the “deaths of despair” including overdose from alcohol and drugs, alcohol related liver disease, and suicide. This presentation will look at these deaths in Minnesota’s elder population. Gain insight into how family members, other than the direct victim and the perpetrator, experience financial exploitation of an elder parent by someone in their own family. Findings from a recent study of 28 family members (primarily adult children), contribute needed perspectives to help inform prevention and intervention strategies. Reducing elder abuse, neglect and exploitation requires an array of interventions. It is important to report maltreatment when it occurs, investigate cases thoroughly, and hold perpetrators accountable, but it is also essential to work on preventing abuse, neglect and exploitation before they happen. In this session, LeadingAge Minnesota will describe work being done by its Abuse and Maltreatment Prevention Task Force has done to analyze maltreatment findings and identify potential prevention strategies.